Contains NEW Trails not shown on previous versions. Contains numerous trail number changes. Contains trail width designations for side by side use. Contains ALL NEW 60" UTV trail designations. Contains MORE GPS location information. Contains updated City Street ATV routes for the local communities. This map has been so significantly changed that it renders all previous versions obsolete! NOW SHIPPING. Do NOT Delay. Get your order placed NOW to make sure you are in line to get your copy. 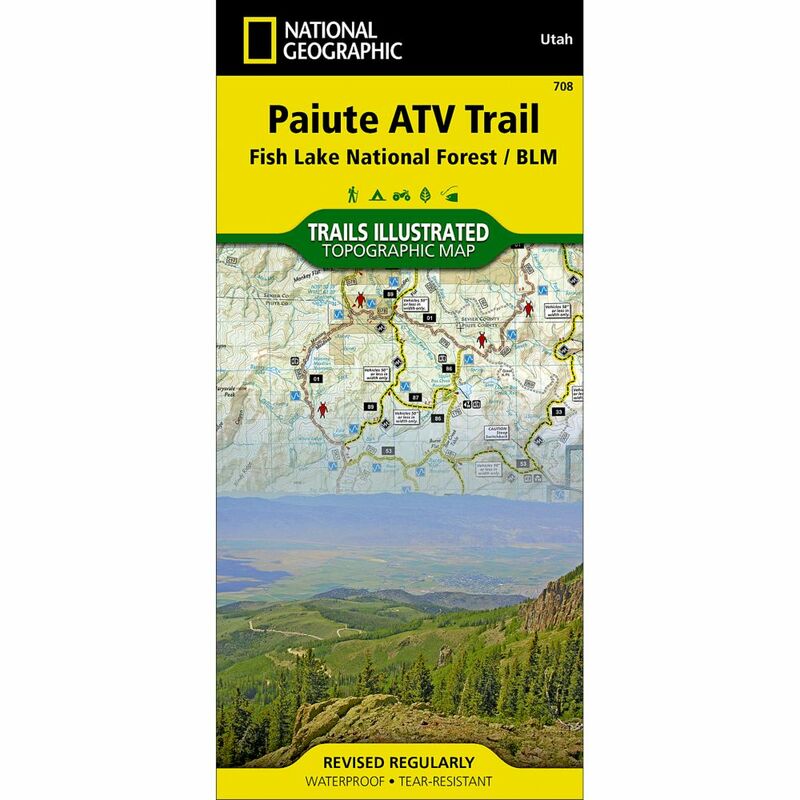 This National Geographic -Trails Illustrated™ folded map is your essential guide for outdoor exploration in Utah's Paiute ATV Trail area. The brilliantly illustrated topographical representation shows all trails, campsites, and recreational features, plus relevant info on wildlife, history, geology, and archeology. Coverage includes Fishlake National, BLM- Sevier River Resource Area. Millard, Sevier and Paiute counties. Complete map of Paiute ATV Trail with adjoining loop trails and town access maps. Fillmore, Richfield, Koosharem, Marysvale, Greenwich and Circleville. Piute, Otter Creek, Rocky Ford, Koosharem and Three Creeks reservoirs.